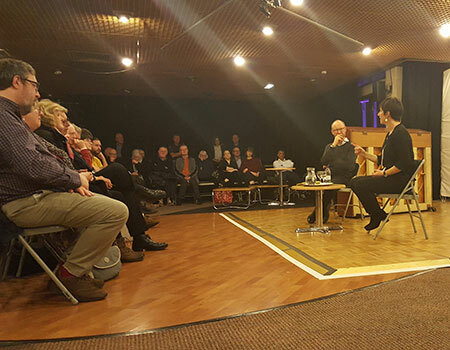 Micaela has joined Steve Reich for many pre- and post-concert talks. Their long-standing friendship and obvious rapport always make for entertaining discussions! Not only does Micaela have a deep understanding of Steve Reich’s vocal pieces, she has sung all of them on countless occasions and can demonstrate how they are put together, and explain the challenges of singing them. She also loves to share her considerable knowledge of Reich’s instrumental music, with a view to enhancing an audience’s listening experience. 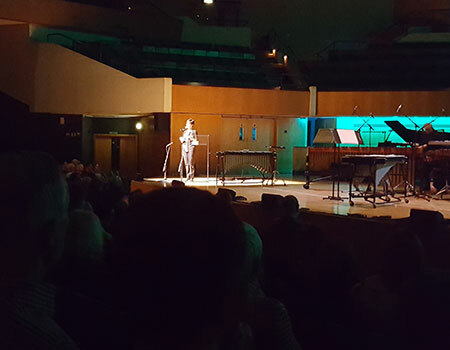 On their recent UK tour of a Steve Reich programme, London Sinfonietta invited Micaela to give pre-concert talks, introduce all the music from the stage and direct rehearsals for “Music for 18 Musicians”. Many members of the audience contacted her afterwards to say how helpful (and entertaining!) her introductions were – Steve Reich fans and newcomers alike. In 2016, Micaela was invited to join Gillian Moore “in conversation” for a study day – a detailed explanation of “Music for 18 Musicians”, how it’s constructed, and how you put the piece together for performance. She was invited back to the Barbican the following year to present another event. 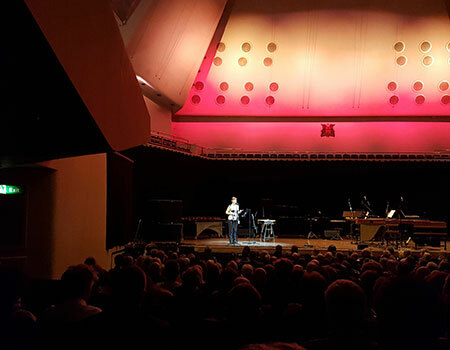 “What You Need to Know – Steve Reich”, hosted by Sara Mohr-Pietsch, focussed on Steve’s early works leading up to “Drumming” and “Tehillim”, which Micaela performed with Synergy Vocals at the Barbican with the Colin Currie Group a few days later. Micaela has also given presentations about writing for amplified voices – at the “Voices Now” festival in Camden, London.